Have a question on Yukon Denali? Yukon Denali is available in 9 different colors - Mineral Grey Metallic, Onyx Black, Summit White, White Frost, Crystal Red Tintcoat, Iridium Metallic, Dark Sapphire Blue Metallic, Quick Silver Metallic and Satin Steel Grey Metallic. Watch latest video reviews of GMC Yukon Denali to know about its interiors, exteriors, performance, mileage and more. What is the price of GMC Yukon Denali? 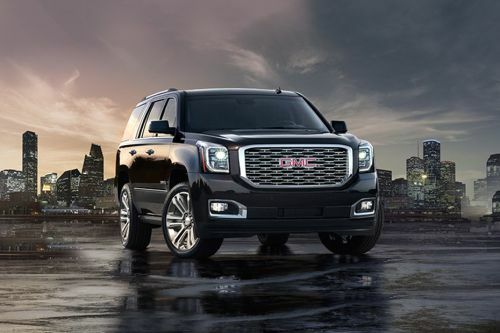 On road prices of GMC Yukon Denali 6.2L in is costs at AED306,500 . What are the colors options available in GMC Yukon Denali?